Human Reproduction, 2016, 1-12.. Scriptaid purchased from Selleck. PANC-1 cells are treated with 2 μg/mL of Scriptaid for 18 h in culture medium. Treated and untreated cells are harvested with trypsin-EDTA, washed with PBS, and resuspended in a protein sample buffer. 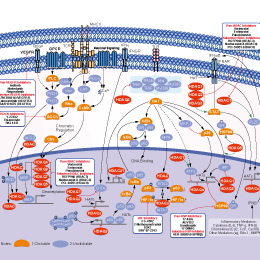 Protein concentration is determined by BCA protein assay reagents. Fifty μg of proteins from each sample is loaded on a 12% denaturing polyacrylamide gel. Proteins are subsequently transferred to a nylon membrane using MilliblotGraphite Electroblotter I. The nylon membrane is incubated with rabbit antihuman acetyl-lysine antibody, followed by goat antirabbit antibody coupled to horseradish peroxidase, developed with SuperSignal substrates, and detected by film. Method: Cells are plated at a cell density of 5000 cells/well in 12 well plates and treated with Scriptaid for up to 3 days. Cells numbers are counted daily using a Coulter counter. Su GH, et al. Cancer Res, 2000, 60(12), 3137-3142. Van Thuan N, et al. Reproduction, 2009, 138(2), 309-317. Strobl JS, et al. J Parasitol, 2007, 93(3), 694-700. Keen JC, et al. Breast Cancer Res Treat, 2003, 81(3), 177-186. Takai N, et al. Int J Mol Med, 2006, 17(2), 323-329. Wang G, et al. Neurotherapeutics, 2013, 10(1), 124-142. 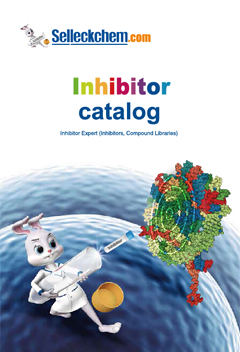 Features:More effective than other classical HDAC inhibitors such as TSA, TPX, and butyrate.